Welcome to the O’Hanlon family! We hope all new members will join us at our New Member Social. 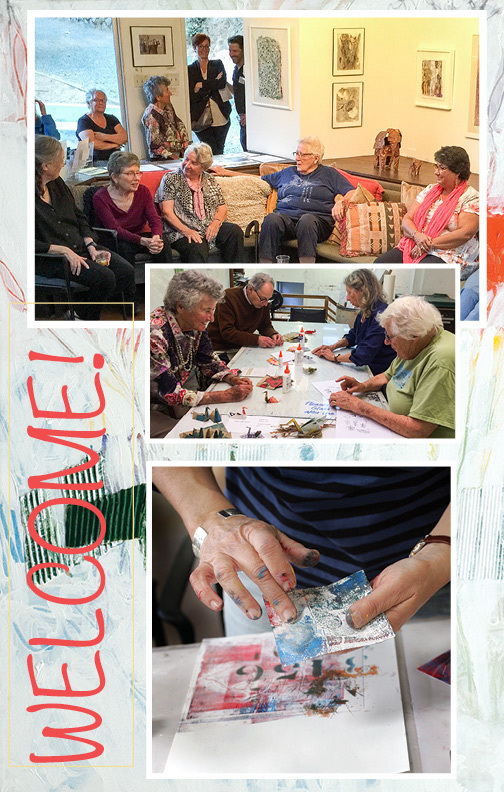 This will be an opportunity to get to know each other, do a little art, and discover the many facets of O’Hanlon Center for the Arts available to new members. You’ve probably already experienced the magical beauty of O’Hanlon and have perhaps attended one of our Gallery Dialogs. However, there’s so much more to learn more about this special place. This fun event will allow you to meet some of the wonderful people that make O’Hanlon thrive. And we can learn more about you and your interests. The gallery shows that we offer each month. The committees on which you can participate. The variety of special projects that we present each year. All new members and long time members are invited to join us for some light refreshments and great conversation with fellow artists. Saturday Oct 21 , 2017, 3:00 – 5:00 p.m.
FREE. Please RSVP by calling 415 388-4331 or click here to RSVP via email.